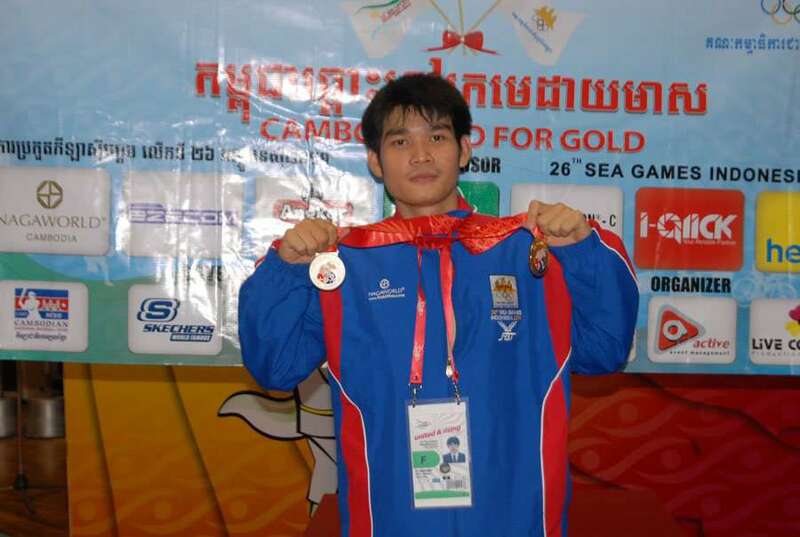  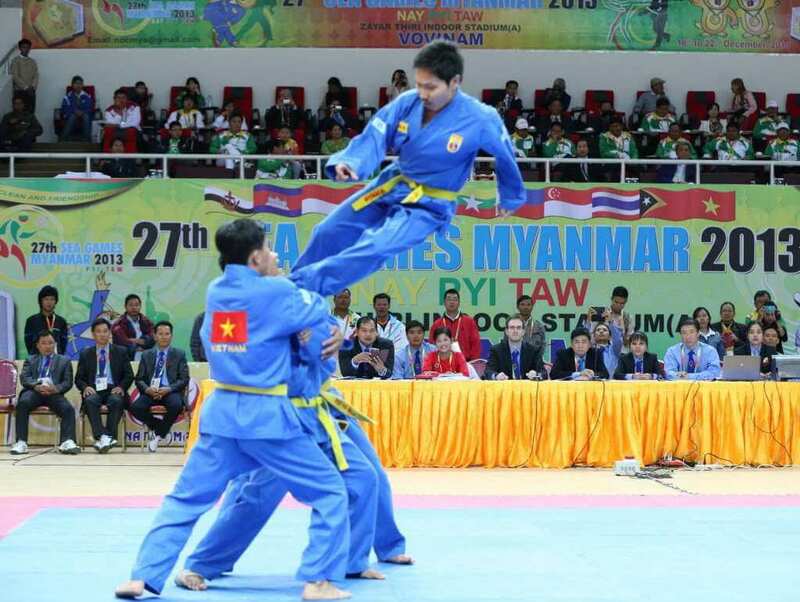 Vovinam is a martial art originated in Vietnam and is practiced with and without weapons. The sport involves training of the body as well as the mind and is based on the principle of between hard and soft. 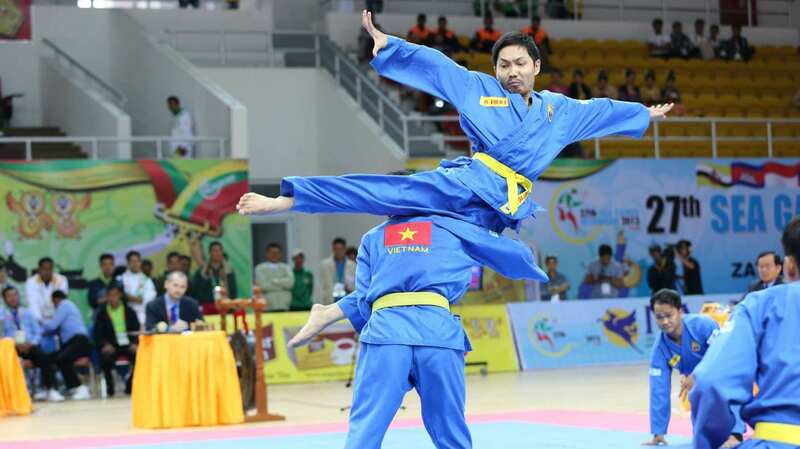 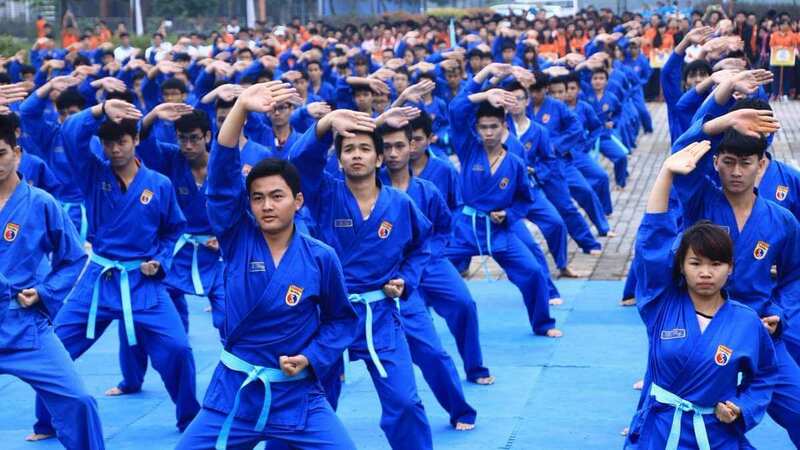 Vovinam Việt Võ Đạo was founded in 1938 by Nguyễn Lộc (1912 – 1960) with the intention of providing people an efficient technique of self-defense after a short period of study. 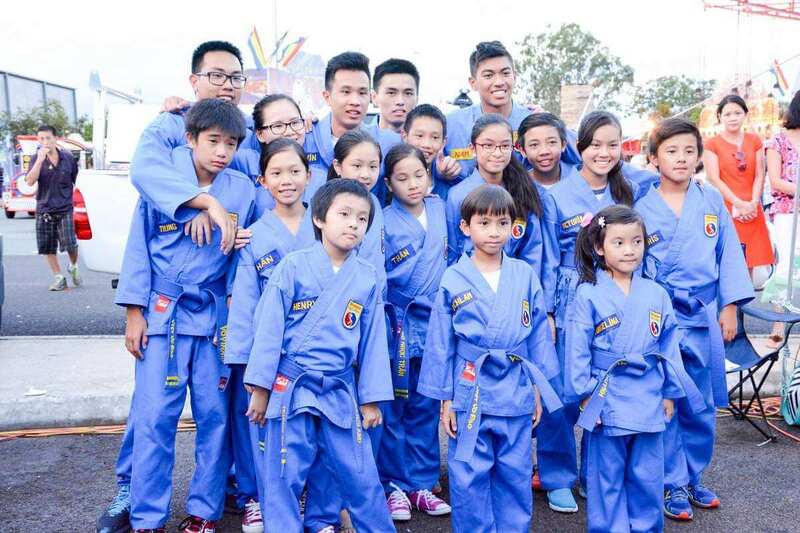 The first school of Vovinam outside of Vietnam was established in Houston, Texas in 1976 by Vietnamese emigrants. 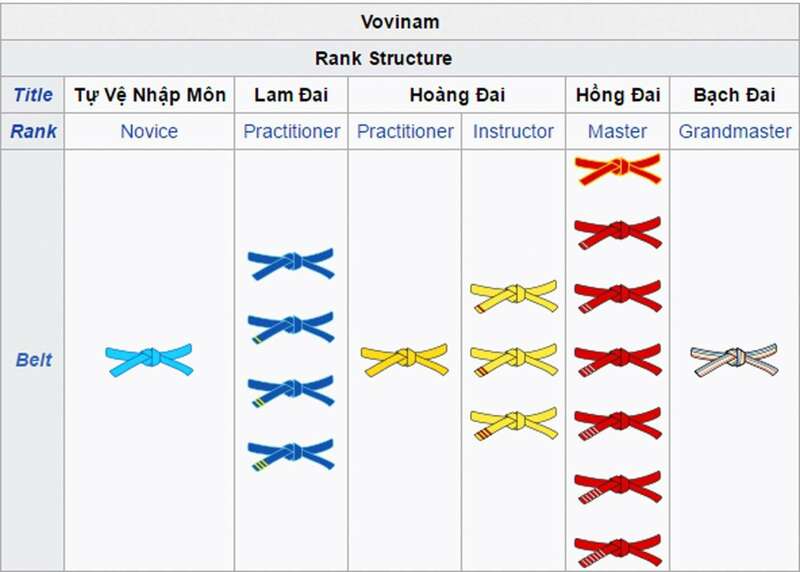 By the year 2000, Vovinam schools had been established in various countries like Australia, Canada, Belgium, France, Spain and so on. 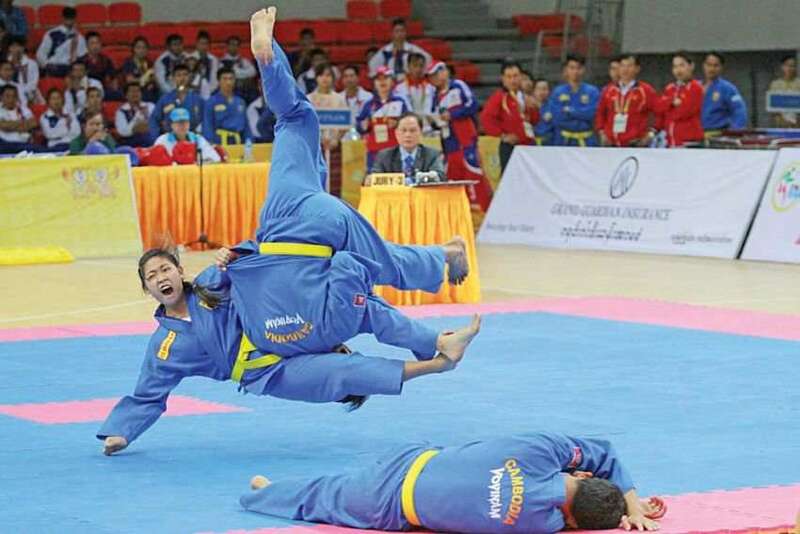 The sport uses force and reaction of the opponent and includes kicks, hand, elbow, escape and levering techniques. 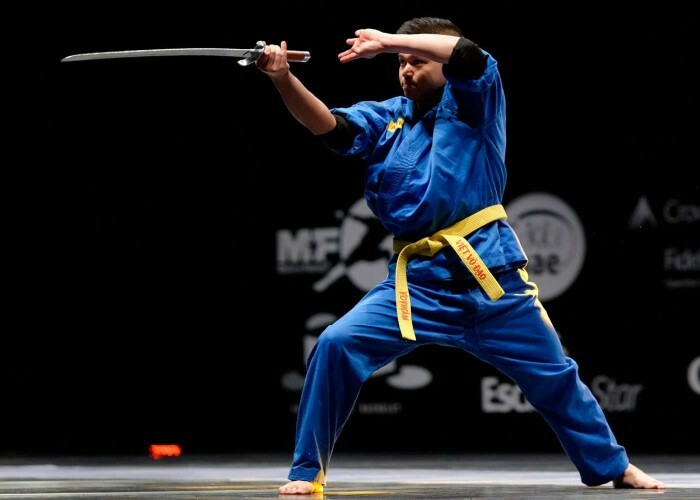 The ranking of the practitioners of the sport start from Novice and goes till GrandMaster with varied color of belt and name plates. 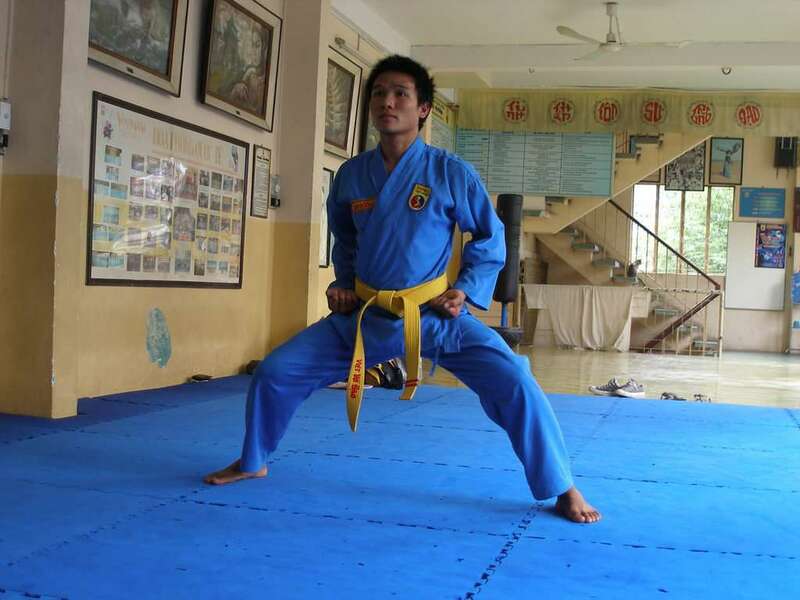 The athlete starts with a cyan belt, same color as his/her uniform.